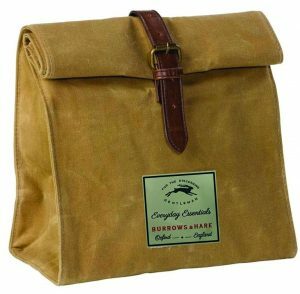 I can’t even tell you how much I love the Waxed Canvas & Thermal Lined Travel Lunch Bag I found from the fine folks at Trouva. I sure wish I had this back in first grade when I pretty much destroyed my Snoopy lunchbox the second week of school and my mother said I couldn’t get a new one until I learned how to take care of things. Yeah. That happened. Find the Waxed Canvas Travel Lunch Bag from Trouva here. Find all the great items offered by Trouva here. Lost Cowboy is powered by	WordPress 5.0.4 and delivered to you in 0.844 seconds using 40 queries.